SRINAGAR: A defence spokesman said that Northern Army Commander Lt Gen Ranbir Singh on Tuesday visited forward posts in Siachen Glacier in order to review operational preparedness in the sector, deemed as the world’s toughest to guard. 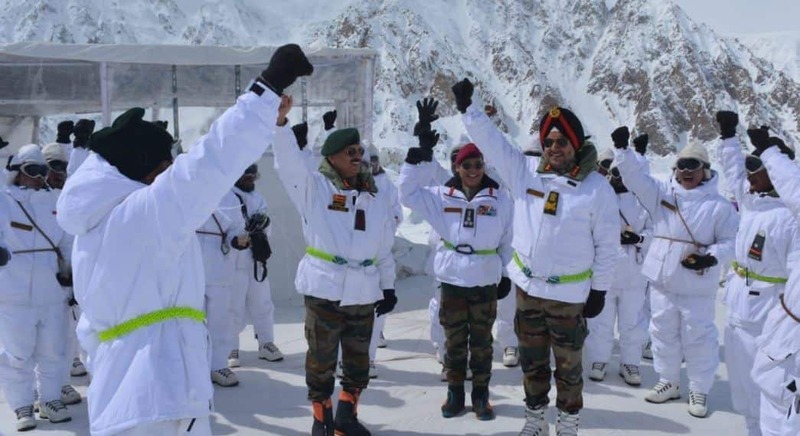 “Lt Gen Singh visited the forward posts in Siachen Glacier today and reviewed the operational preparedness maintained in the sector,” Srinagar-based defence spokesman Colonel Rajesh Kali said. The spokesman told PTI that Lt Gen Y K Joshi, the General Officer Commanding of Fire & Fury Corps also accompanied the Northern Army Commander during his visit to the Siachen glacier. “Lt Gen Singh interacted with troops deployed at the forwards posts and complimented them for their high morale. He appreciated the tenacity and high standard of professionalism displayed by all ranks of ‘Siachen Warriors’ Brigade, despite the extreme challenges posed by the highest battlefield in the world,” he said. During his interaction with the soldiers stationed at Siachen Glacier, Lt Gen Singh hailed thier courage and urged them to continue to uphold the highest standards of professionalism, which is the hallmark of the Indian Army. He also visited the Siachen War Memorial to pay homage to the martyrs of Operation MEGHDOOT. Earlier on March 5, Lt Gen YK Joshi had visited forward locations in the Siachen sector to review the security situation. He was briefed on the operational preparedness being maintained in the sector during his visit.